Age of Sigmar at Blood and Glory – Event Details. 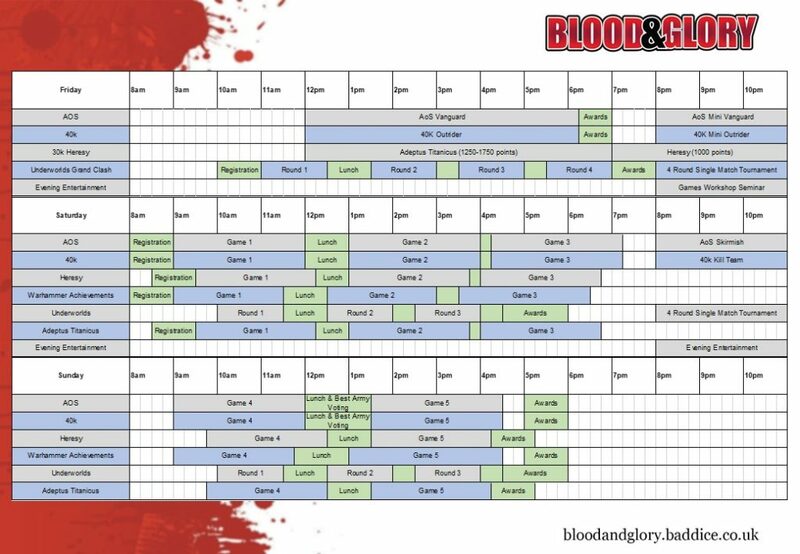 We have 4 Age of Sigmar events at Blood and Glory 2018. With only a couple of day to go I wanted to let you all know how to get to the venue and what to expect at the event on friday as we kick things off. In summary – Events all day and Night. Games Workshop Seminar, Open gaming, Bar and Food! Parking is available on Friday just next door to the venue, but over the weekend the carpark at the Roundhouse is also open. Tickets are still avaliable for these events so if you fancy coming along early and joining in you can pay on the day. Friday evening see the return of the Games Workshop Design Studio seminar. Last year we had an early look at Malign Portents and the latest Underworlds Warbands, this year is going to be just as exciting. You will also have the chance to chat with the team behind Age of Sigmar and 40k. We have gaming taking place all evening with events for all systems. The bar is open from lunchtime and will be serving all night long. 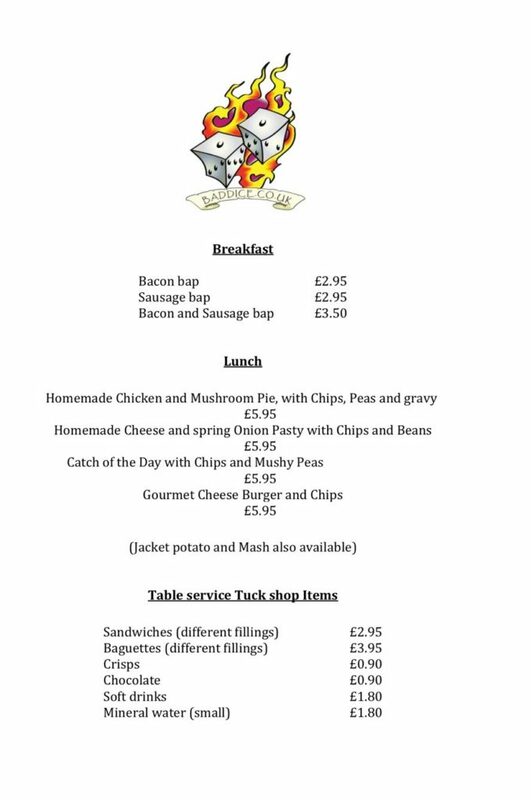 Food is also available. If you fancy hanging out and playing some pickup games the venue is open and we have lots of space! Come along and hang out! Blood and Glory Saturday Evening entertainment! The Saturday Night at Blood and Glory is going to be amazing. We have some fantastic things planned for the event and hope everyone hangs out at the venue. 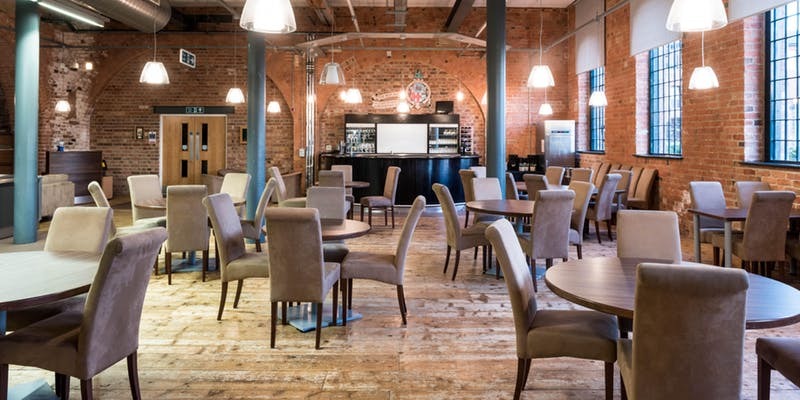 We will be closing the main gaming hall and have taken over the Engine Shed restaurant inside the Blood and Glory venue and will be having an after gaming party. There is still gaming space available for those of you taking part in the Ironman event, Side Events and anyone wanting open gaming or to just hang out at chat at the gaming tables. Food and drinks will be served all evening and you will have a chance to relax away from the main gaming hall while still staying on site and hanging out with fellow gamers and exchanging war stories. 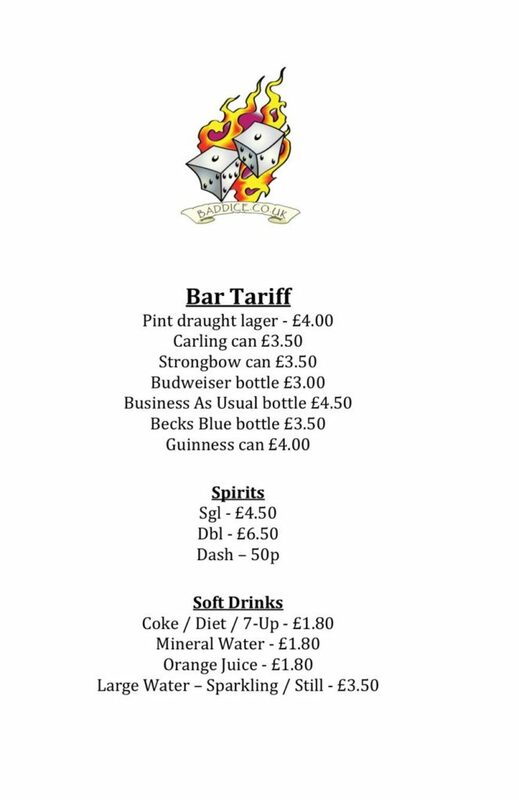 This year we have managed to get some fantastic bar prices and have a wide selection of food and drink. Our prices are cheaper than any of the local hotels and venues. You can pre-book your evening meal and get over 15% saving at just £5.50 a meal. Play Fusion will be onsite Demoing the Warhammer Champions app and card games. take part in mini-tournaments, win exclusive game mats and have a chance to purchase event exclusive products. On Saturday evening at Blood and Glory we will be holding The Element Games charity raffle. Every person sticking around for the evening will get 1 free raffle ticket but we will also have the opportunity to purchase more tickets. 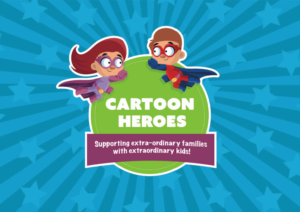 Everything raised by the raffle will be donated to a local Children’s charity, Cartoon Heroes. Jess from Cartoon Heres will be at the event selling tickets and drawing the raffle. Already in the prize pot are copies of Titanucus, Kill Team, Night Vault, and lots more to be added in the run up to the event. 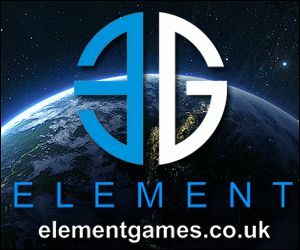 Many thanks to Element Games who have supported us by providing the prizes for the charity raffle. The smaller of our two gaming halls will remain open for the evening for out Saturday night events and open gaming. Take part in one of our fast and fun tournaments and chat to the Ironmen as they have their final attempt at getting points on the board! There will be a demo table of the terrain we have built for the event. Ben, Steve and Andy will be on hand to answer questions and give pointers on how we were able to build over 1000 bits of terrain across 3 games systems for Blood and Glory this year. Get you and your mates on the guest list for the Saturday night and be in with a chance at winning the first round of drinks on us! Here is all the information you will need about the Warhammer Underworlds events at Blood and Glory – 2/3/4th November 2018 in Derby. There are 5 Underworlds events over the weekend. I’ll start with a summary of the events then go into more details below. Similar to last year, the Blood and Glory event kicks off with the Warhammer Underworlds Grand Clash. This is opening for registration at 10am with the battles starting at 11am. There will be 4 rounds running until 7pm where the winner will be announced and the Grand Clash prize support will be given out. This is a full Grand Clash event with prize support and Games Workshops event team on site to run things. The players who finish 1st and 2nd in the Grand Clash will be invited back on Saturday evening to face off in a feature event. These two events both follow the same format. 4 Rounds, single game events. These two events follow the same format. 3 Rounds, best of three events. If you have any questions please use the contact for below, we hope to see you at the event. Here is the latest entrants list for Warhammer Achievements at Blood and Glory.